How to create a Reward Unlocking Campaign? What is a Reward Unlocking Campaign and how does it work? In a Reward Unlocking Campaign,referrers do no compete against each other. All subscribers have milestones to reach and if they do reach a milestone, they will get the reward associated with that milestone. 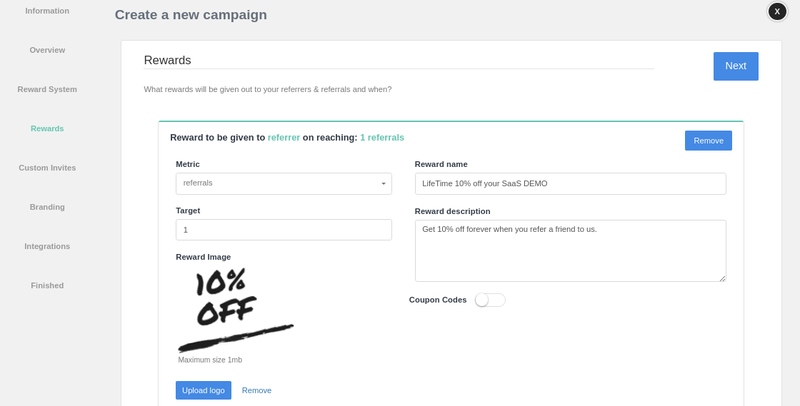 EarlyParrot monitors & tracks all subscribers and their referrals and on reaching a milestone a referrer will be automatically sent out the associated reward. This is done after all Fraud Checks have passed. Creating any kind of campaign is no different. In the Reward System step choose Reward Unlocking. 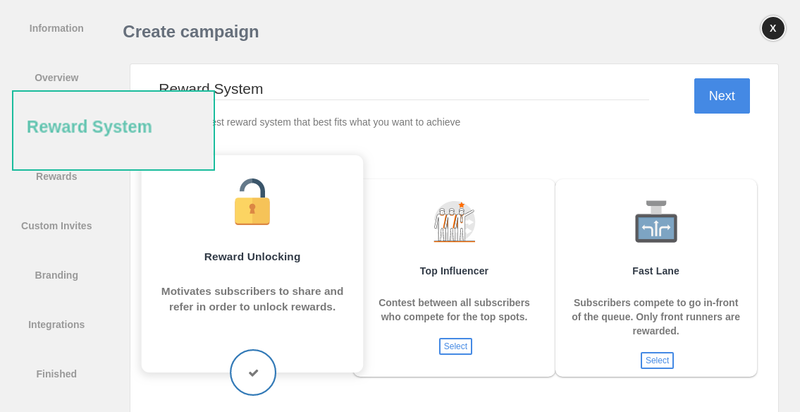 Choosing a Reward Unlocking system will lead you to the following Rewards screen, where you can enter the list of rewards along with a target milestone associated with each reward. For further details check out the following KB articles: setting up rewards, stacking multiple rewards, giving a welcome reward and how to set up double-sided rewards. Some rewards ideas for this kind of campaign are early access to a product or service, free content such as an e-book or presentation and/or free merchandise.